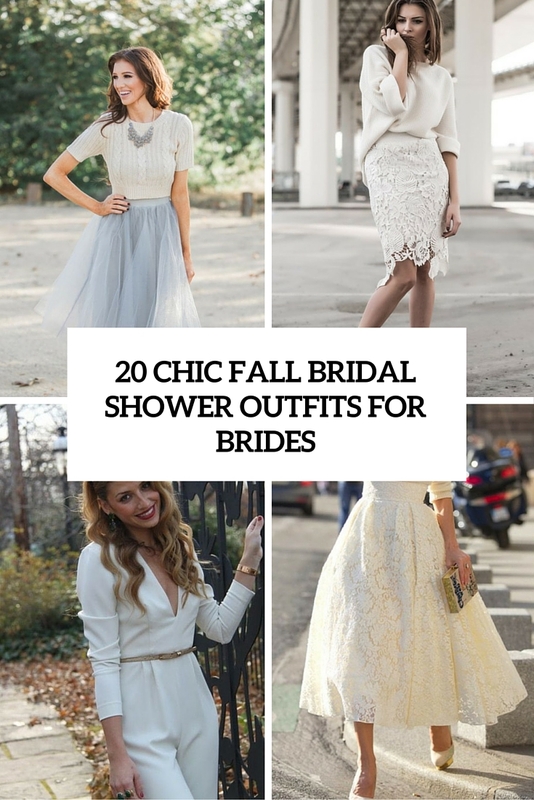 If you are going to have a bridal shower this fall, you may be puzzling over what to wear. Your bridal shower look depends, first of all, on your theme and style, then on the colors you like and your mood, of course. Let’s have a look at the most popular examples that brides rock at their parties. Actually, you can choose any color you want and that matches your theme. But if you want to highlight your status as a bride-to-be, choose white, off-white or creamy. Girls also love neutrals and pastels, especially rose quartz or rather bold girlish pink. Skirt is the most popular item for rocking at a bridal shower, and number one is a tutu skirt. This is the most girlish skirt type that never goes out of fashion and is easy to style. Pair it with some sweater of your choice, a denim shirt, a creamy top or any other proper item. The tutu skirt can be a traditional midi or even a maxi one, the latter looks good with a lace top. Sequin skirts will be another cool idea, you are having a party, aren’t you? style them with simple white tops and sweaters. Dress is another great ideas that shows off your femininity and is easy to pair with something. A lace midi dress, a backless blush one or something whimsy like a back bow dress with a feather skirt. Sequin trousers may be a cool base for a bridal shower look, just pair them with some lace top or a plain white one. Jumpsuits that became fashionable several years ago and still on top, so you can find an off-white one with long sleeves and style it with bold accessories. Look at other ideas below to get inspired!